Jeanne has been a member of Inflexion’s Fiscal and Business Services team since 2013. In 2015, she became Director of Fiscal and Business Services and oversees the fiscal, human resource, and systems administration staff. Prior to joining Inflexion, Jeanne was Director of Finance and Administration for a research company in Eugene. 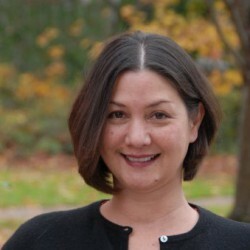 She has also worked in public accounting and at the Oregon Secretary of State Audits Division in Salem. She earned her BS in Accounting from the University of Oregon and is licensed as a CPA and a Senior Professional of Human Resources.